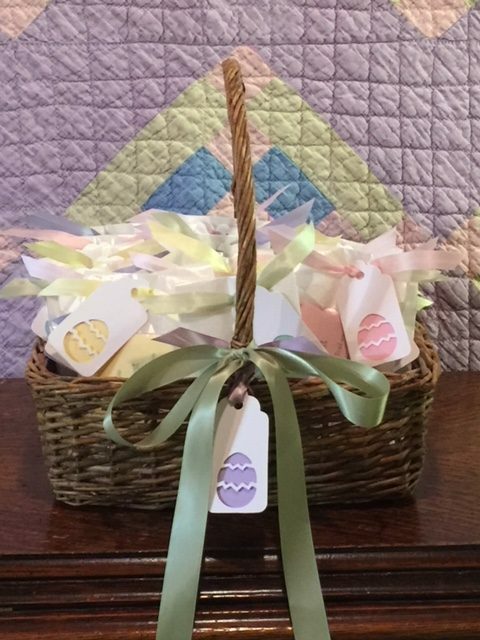 Posted on 01/01/2018 by Marilyn F.
At our March meeting, please join us for an eggciting meeting where we will display and vote on finished eggs entered in our Easter egg contest. Unfinished eggs will be available at the January and February meetings. LMSG is hopping down the Bunny Trail as Finished Eggs from our very first competition will be on display. We will display them as anonymously as possible in our small group and ballots will be tallied. Prizes will be awarded. Do you have an Easter Egg collection or special egg that you treasure? Please bring it/them (stitched or not) to display and share their story.